Well, that’s what Devin Faraci of Birth. Movies. Death. would have us believe anyway. Now, normally I don’t like to indulge the reaction post/video side of humanity on the Internet because I find doing so to be far too specific and not in the least satisfying – The problem being that creating content around a “trending topic” runs the risk of quickly becoming dated and it’s often not broad enough to build an entire timotheories sized post on. 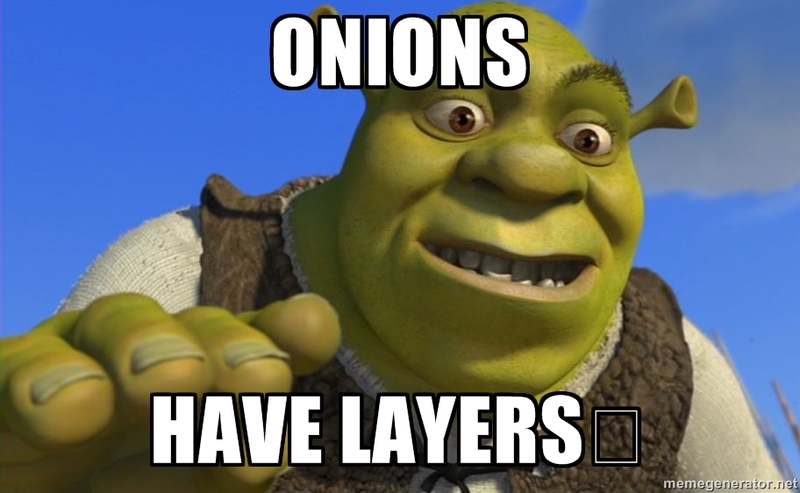 Sure, I could do something everyone likes, like speculating on the next Angry Birds movie, but I’d prefer to write like a Shrek movie, one with many layers, sort of like an onion, because I don’t care what everyone likes. But fortunately for you, dear readers, you’re going to get your cake and eat it too, because that Faraci article is something of a whopper and conveniently related to the topic I was going to bring up this evening anyway. It just so happens that in doing research for Episode 6 of Cross Talk, how fandom influences studio direction, Chris came across the above article and decided to share with me. And we had a good chat about it. But let’s get into it! Without giving too much away, Chris and I have found a way to demonstrate the value of a measured approach to the challenge that is social media, because if you follow his logic through to it’s logical conclusion, then Faraci’s fandom has always been broken. Faraci tells us that because of the Internet, extremists like Annie Wilkes now have a way to terrorize anyone and everyone, but what about the other side of the coin? Those who never had a voice now have potentially have one, and petitioning for artistic changes just go a lot easier. So where did we land? And how upset are we about the Steve Rogers: Captain America #1 reveal? You’re about to find out, and I’ll give you a hint, as an artist, I happen to have a few theories on this topic. I’ve included a direct link to the full video for you here, but as always, the real action is just below for your convenience. Otherwise, please sit back and enjoy Episode 6 of Cross Talk! I’m out of theories for now, but please check back tomorrow for an album review that is all about Simon. It should be a good one! Please comment, subscribe and share this with you friends. We want to hear your feedback!